She completed her bachelor’s degree in Biology at the UPR RPC in 1994 and earned her Medical Degree from UPR School of Medicine in 1998. After medical school she did her Surgical Residency at the UPR RCM from 1998-2000 and at the Waterbury Hospital in Connecticut from 2000-2004. She completed a Fellowship in Surgical Critical care at the Hartford Hospital in Connecticut in 2005. She is a Board Certified Surgeon that specializes in surgical critical care and is the Director of the Surgical Critical Care unit in the Veterans Administration Hospital of San Juan. 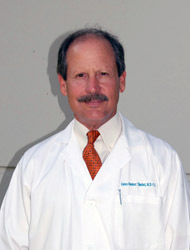 Dr. Baerga obtained her medical degree from the University of Puerto Rico Medical School in 1987. She completed her five year general surgery residency at Mayo Clinic Graduate School of Medicine, Rochester MN in 1992. She proceeded to complete two surgical subspecialties, Surgical Critical Care (1993) and Vascular Surgery (1994) at Mayo Clinic Graduate School of Medicine. She obtained the American Board of Surgery certifications in General Surgery, Surgical Critical Care and Vascular Surgery. 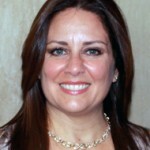 She practiced as consultant and assistant professor of Surgery at Mayo Clinic until her return to Puerto Rico in 2007. She is currently Assistant Professor of Surgery Ad-Honorem at the University of Puerto Rico School of Medicine and Surgical Critical Care & General Surgery Staff at the Veterans Administration Caribbean Healthcare System, San Juan, PR . Dr. Ramírez-Tánchez earned a B.S. in Natural Science form the UPR Rio Piedras Campus in 1976. He went on to Study Medicine in the UCC and graduated in 1980. He received his surgical training in the Puerto Rico Medical Center with the support of the Residency Sponsorship Program of the US Army. During his military service he worked in the 121st EVAC hospital in Seoul, Korea and the US Army Hospital Fort Polk in Louisiana. He is a board certified Surgeon and is the current General Surgery Section Chief in the Veterans Administration Hospital in San Juan.